From South Mumbai to Suburbs, We've Got You Covered. You can call it Mumbai, Bombay, Maximum City or what you will, India’s financial capital is one of the most pulsating cities you’d ever visit. It has its own music, its own pace and rhythm, much like any other place. But what is new is that it will impact you, in whichever way it can. It’s cosmopolitan, carefree and at times ruthless, and if you’re in the city for even two days, you have got to explore what your time permits. 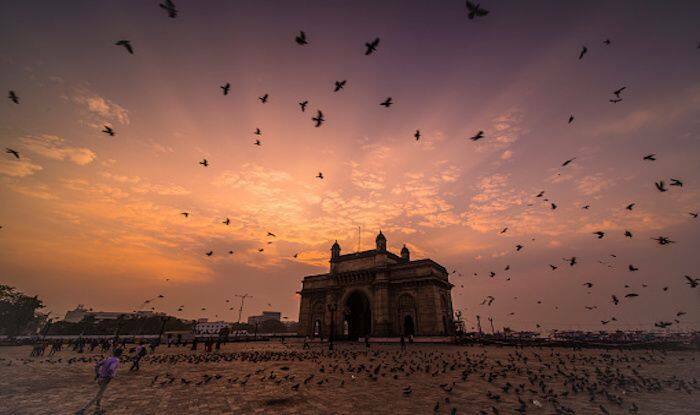 Include the Gateway of India in your itinerary; keep it at the helm. It could act as the starting point for South Mumbai. Take a ferry ride to Elephanta Caves from the Gateway, one of the most culturally rich spots in Mumbai. After you’re back, there’ll be tons of options around for you to grab a meal and some drinks. There’s Cafe Leopold, Cafe Mondegar and the very chic Kala Ghoda Cafe that will provide you with food that will nourish your soul. After you’re done with the meals, you could walk around Colaba Causway, taking in all the sights and smells, appreciate the Art Deco architecture along the way, and indulge in some history by visiting the Prince of Wales Museum and Art Galleries at Kala Ghoda. Sneak in a bit of shopping while you’re in South Mumbai. The gorgeous Marine Drive is worth a visit in the evening, sit by the Arabian Sea and soak in the beauty of a sunset on Marine Drive in Mumbai. Just a little ahead is Girgaum Chowpatty – a beach famous for its vada pavs, pav bhaji, gola and falooda. If you wish to see the house of India’s richest businessmen called Antilia – a 20-storey tower estimated to have cost up to $2 billion to build, it’s a ten minute cab ride from Girgaum. Remember to visit Chor Bazaar, Mumbai’s infamous thieves market. This fascinating 150-year-old market has more antique and vintage items than stolen goods today and you won’t believe all the stuff that’s available there. Another interesting place to visit is the Dr. Bhau Daji Lad Museum, a small museum that had opened in 1857, and is the oldest in Mumbai. It is beautifully restored and showcases the cultural heritage of the city. The city also has one of the largest slums in Asia, called the Dharavi Slum. Go for a guided tour; the tour will give you amazing insight into the inspiring community and its thriving small-scale industry, and show what people can achieve despite their challenging conditions. You can indulge in some shopping here, as you can buy everything from leather goods to fabrics at great prices, made by Dharavi residents. One of the best things about Mumbai is that the taxis don’t fleece travellers and usually go by the meter, without quoting inflated prices. Which means that you can easily go around Mumbai in a yellow cab, without having to hire a car and driver for the day. Uber is another convenient and inexpensive option for a traveller.